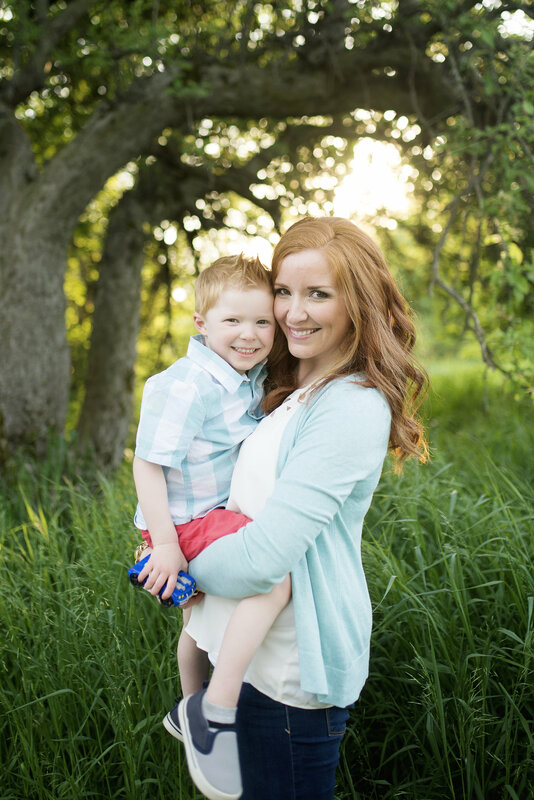 Isn’t it funny how once you are a mama everything changes….even your purse! This is just half of what I carry around every day! I had at least three more tubes of lip gloss/chapstick…..I’m sort of obsessed. And like 20 receipts and coupons. 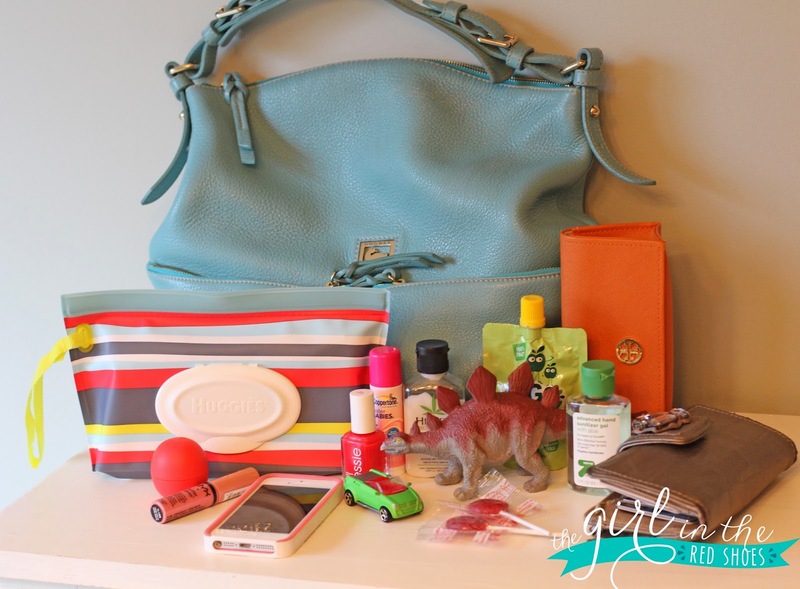 And yes, a dinosaur and toy car are always ready to go in my purse these days. And lots of snacks too of course! 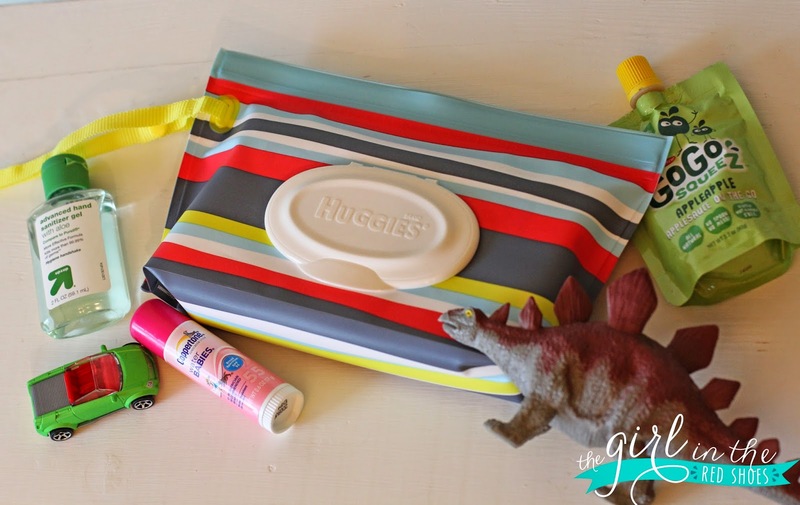 But let’s talk about these stylish baby wipes from Huggies! Aren’t they cute? 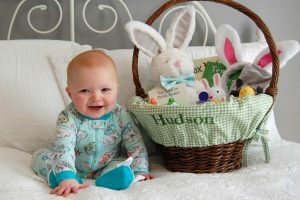 They are the new Clutch ‘n’ Clean wipes by Huggies and even Hudson thinks they are fun….but he would rather stuff his dinosaurs and cars in them then wipes! 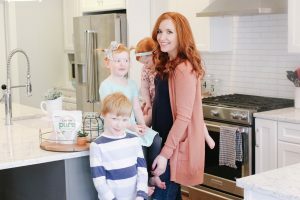 I love that they are easy to keep in the car or in my purse for easy access on the go…because every mama knows that wipes are a must have for messy toddlers! We have been using Huggies wipes since Hudson was born so I love the new cute designs! Now Huggies wipes come in NEW portable designs – perfect for stylishly tackling messes while out and about. 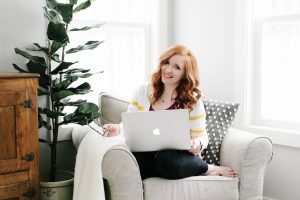 The cute clutch is refillable and has a strap – making it versatile and accessible anywhere, from the diaper bag and the stroller to the car seat handle and more! 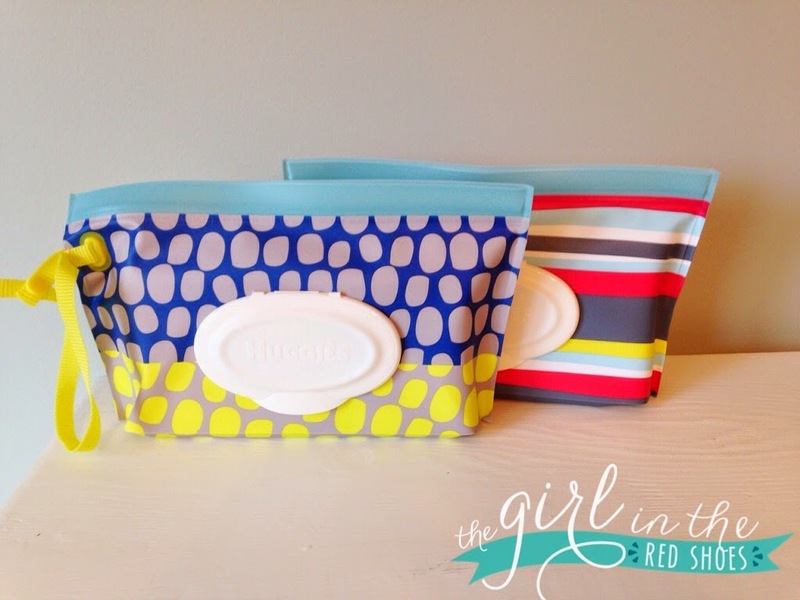 So, just because I love these cute wipes so much, let’s give one away….sound good? 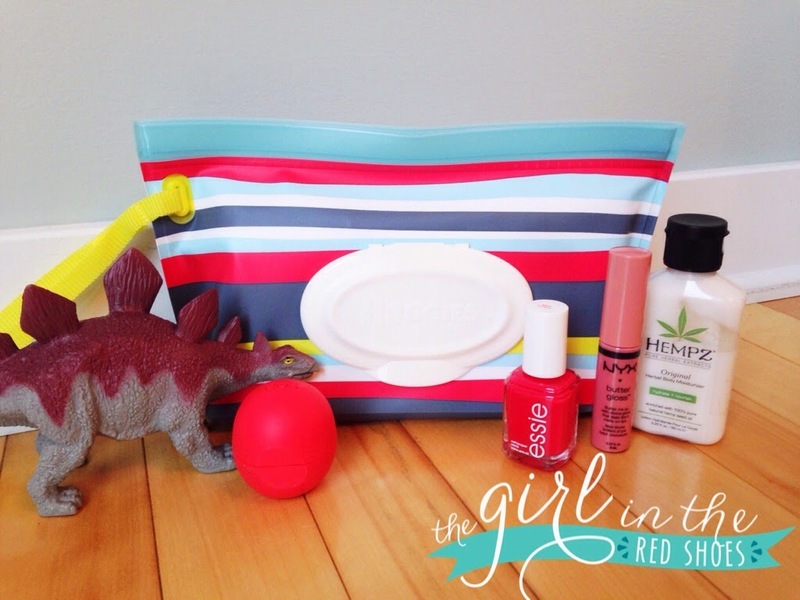 Enter below using the Rafflecopter form and I’ll pick a winner to receive their own Clutch ‘n’ Clean wipes…PLUS a few of my favorite purse essentials too: eos lip balm, essie nail polish, NYX butter gloss, Hempz lotion….and chances are a dinosaur just might sneak it’s way in too! Just visit Huggies and let me know your favorite Cluch ‘n’ Clean pattern! Enter below! Thank you to Huggies for sponsoring today’s post, but my LOVE for their new stylish diaper wipes is all my own! I love the yellow/blue dot pattern! The yellow & blue dots pattern is my favorite! I like the stripe one the best. I also like the flora one too, but since I'm due with a boy in 3 weeks better off with the stripes. Thanks for the chance. I love the "dots." So cute!!! That blue and yellow dot one is adorable! I like the flowery one, but they're all really cute! I love the flowery print one! I love the stripes. And those are some of my favorite mom goodies too! I love the flower pattern! Or the stripes! The blue and yellow one is adorable! Those look way cuter than my whole "carry a whole pack of wipes" approach. And if they're lighter major bonus points ! I really like the blue and yellow polka dot one! I like the flowered pattern. I had NO idea they made these. Genius! Loving the blue and yellow polka dot one! I love the yellow and blue dots! Thanks for this opportunity! They are all cute but not cutesy. I like that. The yellow and blue dot one is my fave. I love the floral print!!! I love the blue/yellow dot!! Such a great idea! What an awesome concept! I love the "dot" one! At least it makes diaper changing prettier/more fun! I love the "pebble dots!" I love the dots and anything with yellow will match my diaper bag perfectly! Love this new clutch! I love the dots! Have not seen these yet but will definitely be useful when I nanny this summer. Loving the Blue and Yellow dots! 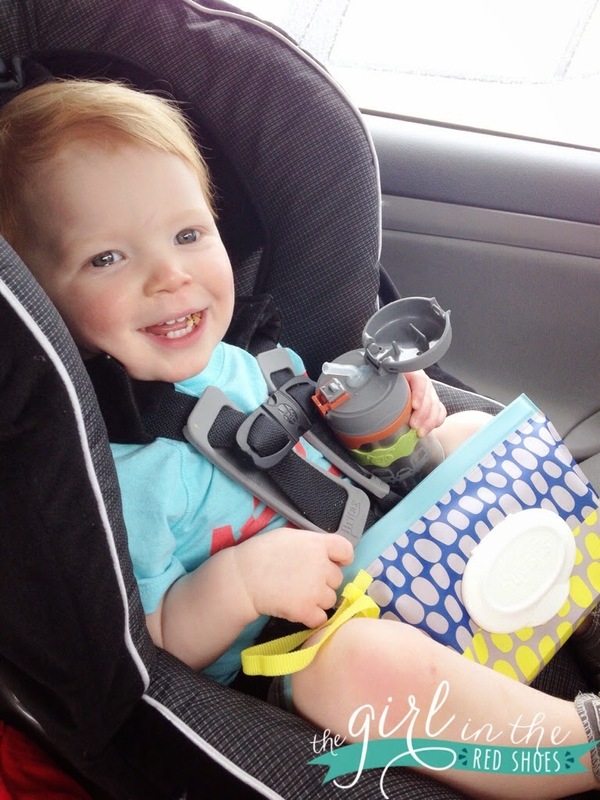 Yes, wipes with a toddler are a necessity! These are probably the cutest packages of baby wipes I've ever seen! I especially love the flowery pattern! I love the striped pattern! Cute! My favorite is the blue and yellow pattern. Loving the spotted one! Perfect to carry around for a messy little guy. The floral one. 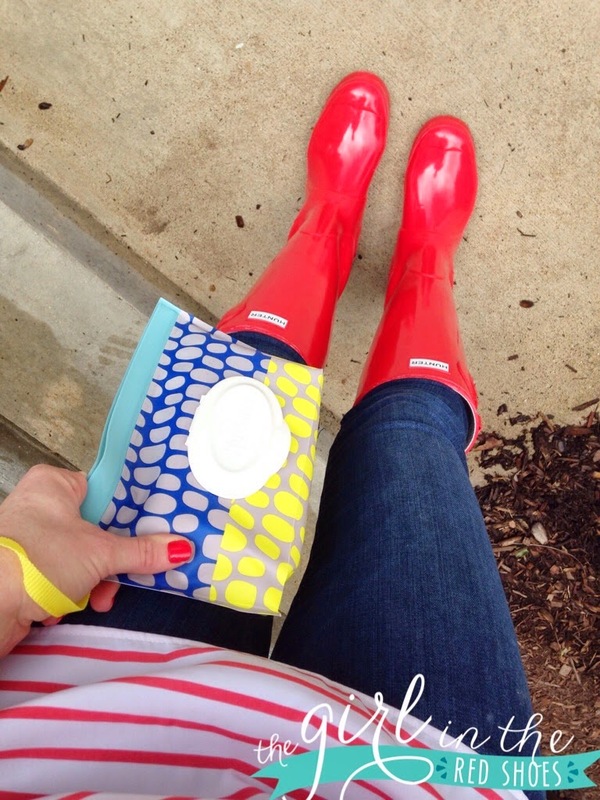 I also LOVE their new wipes containers – I have a pink one in my daughter's room & a green one in my son's room now. They are SO cute. I am in desperate need of a new wipe container and love those polka dots!! I like the flower one. I think the striped pattern is pretty darn cute! I love the leaf pattern one! I love the polka dot pattern! I love the blue and yellow polka dots! I've been wishing for something like this since Owen was born, seriously! I carry wipes everrrrrywhere and I just wished they would be pretty. I love the blue and yellow pebble dots! I am so bummed I just bought a different wipes case. The one I had was terrible and the wipes were always dried out. I love the floral print. I love the leaf/floral pattern! The stripes are my favorite! So cute. I can't decide between the flowers and the stripes. I'll have to check them out next time I"m at the store. I've never seen these! That's so cool! I like the blue and yellow spotted one. Those are cute! I'm loving the floral pattern one! LOVE the stripes! 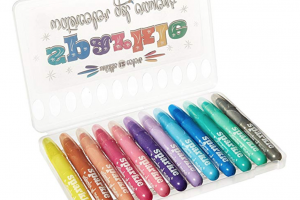 These are so fun, as fun as diaper wipe clutches can get right?!?! Fun! Polka dots are always fun! I love the look of the new Huggies wipe packs! Those will definitely be making their way onto my registry! I like the yellow and blue dot pattern! So super cute!! I can't wait to get my hands on these super cute wipes!! My bags are packed with the same stuff. Just throw a few crayons in the mix and that's my bag. I like the wipes. They look super stylish for wipes! Those bags are awesome! I love the stripes!! I love me some stripes!!! Also everything in your bag is just too cute! I like the dot pattern! Love the dots, what a convenient little pouch! I love the flowery one. I like the flowery one! I like the pink blue and yellow floral! I love love love the dots! Good idea! I love the stripes! the blue & yellow is cute. 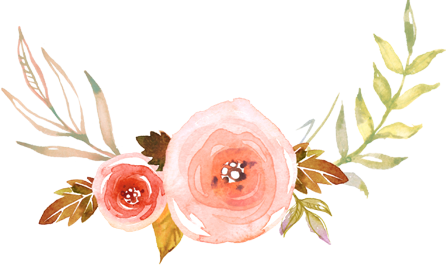 I like the floral pattern best! The clutch n clean wipes are SO fun! Love them! LOVE the blue & yellow ! I like the stripes one the best. I love the dot pattern!